Recently Gary Eller spoke with Glen Garrett about the early years of the Idaho Bluegrass Association (IBA), of which Glen was the first president. Glen also talked about forming and taking the Treasure Valley bluegrass band, The Grasshoppers, to national prominence in the late 1990s and early 2000s. His son Jeremy, who grew up in Caldwell and was a Grasshopper, subsequently formed and still leads the internationally noted Infamous Stringdusters band. Recollections by other founding members of IBA will follow in subsequent newsletters. Gary: Glen, tell us how you came to be in Idaho and got involved with the local bluegrass scene. Glen: I moved from California where I had played bluegrass to southwest Idaho in the mid 1970s, but couldn’t find any local bluegrass pickers. I went to the Weiser fiddle contest the first time in 1977 or 1978 with my wife, baby Jeremy and a picnic basket, not knowing what to expect. At Weiser I found little or no bluegrass but plenty of country and Irish jams going on. Much of what was happening was downtown. We were around Slocum Hall when a car pulled up and a guy with a banjo and guitar got out. I asked if he played bluegrass. He said yes and proceeded to blow me away with his instrumental skills. His name was Randy Glenn, and we would be connected musically through local jams and bands and The Grasshoppers for many years. I’m not sure, but maybe Charley Simmons joined us at this first Weiser encounter. We jammed for a couple of hours. We exchanged phone numbers and agreed to get together again soon. Gary: So that chance encounter at Weiser led to the creation of the Idaho Bluegrass Association? Glen: Yes. The next weekend there was a musical gathering at the state fairgrounds. There was a stage with a country rock band, Bruce Alkire’s Rocky Mountain Ozone, with a terrific local gal fiddler – I can’t remember her name - in a white pants suit. They invited us newly acquainted bluegrass pickers up on the stage to play a few songs. Our thrown together group included Joe Smith, a logger originally from Missouri, who just blew me away with his fine high tenor voice. The weekend after the fairgrounds gathering, we gathered at Turk’s Steakhouse in Boise where a Montana country band was playing, with Boise fiddle prodigy Charley Burry sitting in. In walked local bluegrassers Mike Bond and Steve Brown. Eventually, Mike (banjo) and Steve (mandolin), together with Mike’s wife Donna (bass), Doug Jenkins (fiddle) and Randy Glenn (guitar) would form the core of the popular Ragged But RIght bluegrass band, which played every other Sunday night for seventeen years at Lock, Stock and Barrel in Boise. On the other Saturday nights, another popular bluegrass band, Too Far Gone, would take the stage. Core members of this group were Chris Work (guitar and vocals), Charley Simmons and Dean Cerva (mandolin and tenor banjo), Rue Frisbee (fiddle), Mark Thomas and Rick De Leonard (banjo) and me on bass. Some of these players were in a prior popular local bluegrass band called Downwind. I got involved with monthly bluegrass jam sessions with Stan Coleman (guitarist and singer), Charley Burry, and other local pickers including members of Too Far Gone and Ragged But Right. These jams quickly became very popular. We would have 4-5 breakout jams at these sessions which were held at a senior center in Boise. This was around 1979 or 1980. The idea arose of creating an Idaho bluegrass association. Around 1980 or 1981, we got officially organized as a nonprofit organization and I was voted in as the first president with Mike Bond as vice president. Randy Glen’s mother in law Joyce was the first treasurer. We charged dues and had bake and yard sales to raise money so we could bring in nationally prominent professional bluegrass bands to educate and perform for the Treasure Valley community. When we had some money in the bank, we contacted the brand new group Hot Rize to be our kickoff group, but decided we couldn’t afford their $1500 fee. So we went instead at half the cost with the excellent Portland group Sawtooth Mountain Boys, with Too Far Gone and Ragged But Right as warmup bands. The event was a huge success, with 250-300 people attending. We had Sawtooth Mountain Boys back several times. We eventually had Bill Monroe and Ralph Stanley and twice each had Lost and Found, Bluegrass Cardinals and Special Consensus. We would catch these nationally touring groups at affordable rates for mid week “pick up” gigs as they were travelling between Salt Lake City and Portland or Seattle. Bill Monroe packed the Old Boise High School for two sets, with Ragged But Right opening for him. One humorous anecdote – Bill Monroe had dinner at Mike Bond’s house and he accidentally dumped a plate of lasagna on his lap. The story goes that the Bonds left the spilled lasagna for a week in tribute to Bill, and thereafter that recipe was known as “Bill Monroe Lasagna”. We had a cadre of about fifteen dedicated young folks who worked hard at making the monthly jams and professional concerts successful. For example, a Boise TV station had a half hour Sunday afternoon slot for promoting community activities. We would get on the show to talk about upcoming events and play some songs. But you didn’t just walk in – you had to work your way onto theses programs. We would pay for newspaper ads for big concerts. Gary: Can you tell us a bit about where you went from there with bluegrass? Glen: Sure. I phased out of the IBA leadership in 1982 or 1983 because of work and family obligations but continued to jam with Randy Glenn and others. Hard times came to Idaho and I wound up partnering with Randy in refurbishing a mobile home park in Homedale. Jeremy finished high school at Caldwell High in 1993 and then attended the bluegrass music program at South Plains College in Levelland, Texas. After returning to Caldwell, he entered the national American Music talent contest which had a regional round in our area, where he finished second playing fiddle. First place went to an outstanding young Caldwell vocalist named Honi Johnston (now Deaton). I invited her to jam with Jeremy, Randy and me and then taught her to play acoustic bass. We quickly became so successful that I was able to quit my day job. We were the house band playing two sets every night at the Bogus Basin Outfitters dinner club at the Boise ski area. We did some touring and in 1998 entered the national Pizza Hut bluegrass band contest. We won local and regional contests and then won the national contest in Louisville. 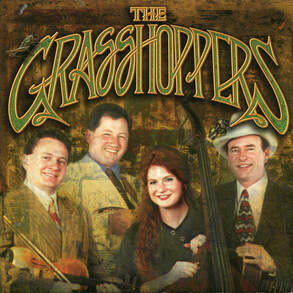 This band, known as The Grasshoppers, played the major bluegrass festival circuit including venues such as Rocky Grass, Bean Blossom, Grey Fox and Grass Valley. 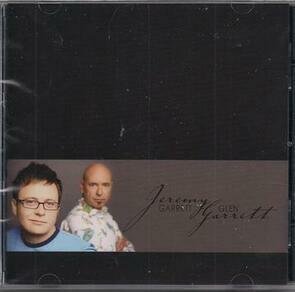 Our album was in the top ten in 1998 and was nominated for a Grammy. In 2002, The Grasshoppers broke up. Honey eventually formed the touring bluegrass band Dream and Jeremy established The Stringdusters. I stayed in Nashville as a professional musician, working as rhythm guitarist and bass player for professional bluegrass groups led by Chris Jones, Ronnie Bowman and other notables before returning to the West in 2017. Gary: Amazing stuff, Glen. And it’s a bluegrass success story worth telling that isn’t known to many present day bluegrassers in Idaho. Can you tell us an anecdote about picking at Weiser? Glen: Sure. Before the Grasshoppers went national, we would spend 3-4 days jamming at the Weiser fiddle contest. There arose what was known as the “Street Light Jam” at the light between Slocum Hall and what now is the soccer field used for RV camping. These high level jams often would attract a hundred listeners, including folks with microphones on long booms to record the picking and singing. Gary: Thanks for sharing that history with us, Glen. It’s pertinent to both the fiddle contest and bluegrass in Idaho. Are there any additional observations you would like to make? Glen: Regarding campground jamming, it appears to me there has been an evolution over time from Irish to bluegrass and now to old time. Also, I think to attract younger pickers you can’t define your definition of bluegrass too narrowly. And I’d like to add something about the amazing run that Too Far Gone and Ragged But Right had at Lock, Stock and Barrel in Boise in the 1980s and 1990s. For some years during this time, every Monday night at Tom Grainey’s there would be an open mic hosted by local musical legend John Hansen. Many of the band members who played on Sunday nights at Lock, Stock and Barrel also would show up and play at Tom Grainey’s to good audiences. These were excellent musicians who just loved to play. Gary: Thanks Glen, for being such a force in the promotion of bluegrass in Idaho and beyond.